Expanding women’s economic opportunities is fundamental to sustainable growth and building more equitable societies. 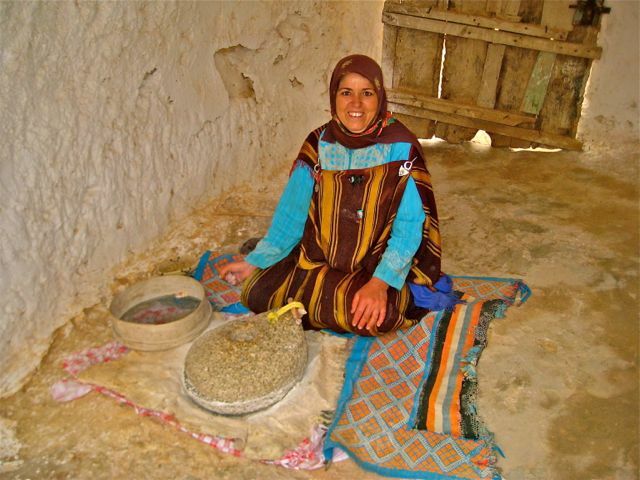 The Women’s Enterprise for Sustainability (WES) program empowers women-led organizations in Tunisia to operate WES centers as social enterprises. Through these centers, aspiring and established women entrepreneurs gain new skills and networks, launch and expand businesses, and develop as innovative leaders in their communities. WES provides training and support to eight partner organizations, enabling them to operate WES centers using a cost-recovery business model. A team of trainers at each center are equipped to deliver curricula including leadership, entrepreneurship, social media, home-based business and e-commerce. By charging nominal fees for workshops, organizations increase their own sustainability and reach, while supporting women entrepreneurs in their communities. Through WES centers, aspiring and established women entrepreneurs access affordable training, coaching and financial services enabling them to launch and grow businesses. WES graduates form networks committed to sharing resources, creating strategic alliances and advancing professional opportunities for women entrepreneurs. WES is designed by the Institute of International Education (IIE), Center for Women’s Leadership Initiatives in San Francisco, WES is implemented in collaboration with eight partner organizations across Tunisia. WES is funded by the Middle East Partnership Initiative (MEPI) of the United States Department of State with support from Craig Newmark (founder of Craigslist), eBay, LinkedIn and Microsoft. Please visit the WES website to learn more about the program.